A simple decision rule will help you dramatically improve your results and personal satisfaction–If a choice is a “maybe,” it’s a “no.” In other words, if you sense that a business opportunity isn’t right on target, don’t pursue it. I learned this decision rule two decades ago in my “Creativity in Business” course from Professor Michael Ray at Stanford Business School. When I have applied it, it has served me well. 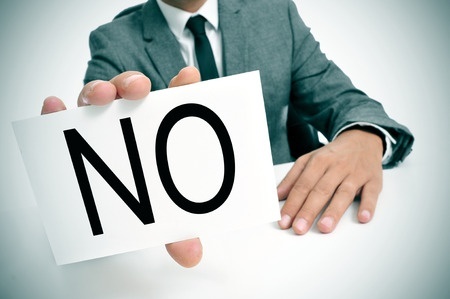 It’s tough to say no to a “maybe.” I agonized about a prospective client who eagerly sought my services. The dynamics just didn’t seem right, however. It was a “maybe.” Fortunately, my wife reminded me of the decision rule. I declined the sizeable contract. With my time freed up, I went on to my highest revenue year ever by serving new clients who were definite “yes’s.” I wouldn’t have been available for the “yes” clients if I had accepted the “maybe” client. Here are some ways to keep “maybes” from cluttering up your life. What are your hopes? Why are they important to you? Write them down so that you follow them rather than what others say you “should” do. Remain focused on what’s best for you. There are so many messages from the media, peers, and other people about what we ought to do. Sometimes, I feel like Ulysses in Homer’s “Odyssey,” who had to tie himself to the mast to keep the Sirens’ song from impelling him to jump overboard. Be candid with yourself. Is the opportunity something you really want to do? Is it supporting the hopes you have for your business? Is it a clear fit for your business? A high tech firm paid the price for pursuing a “maybe.” Its executives knew that a sales opportunity didn’t exactly fit the company’s strengths and interests, but they didn’t want to pass up a chance for more revenue. After two month’s of effort, several marketing trips, and $10,000 sunk into a prototype, they lost the contract to another firm for which the job was a closer match. Their “maybe” was both costly and demoralizing. 4. Find someone to keep you focused on “yes’s” for you. Our anxieties readily misguide us. Our minds cleverly justify courses of action that don’t fit. It’s difficult to keep ourselves in perspective. Pick one or more persons who understand your hopes and are willing to help you discern what fits for you. The key is that they look at the opportunities from the perspective of what you want, not their own agenda. If someone presents you with a business opportunity that only fits some of your criteria, ask them how they could modify it to satisfy all of your standards. Tell them, “I want all of the things I do in my business to be clear ‘yes’s.’” People respect those who have high standards and stick to them. 6. Don’t bet against yourself. If something is a “maybe,” let it go. When we know that a situation or opportunity isn’t right, we feel less committed to it. We start making excuses and become discouraged. Don’t let this happen to you. I recall Scott McNealy, CEO of Sun Microsystems, telling me that a key to successful leadership is saying “no” nicely. Practice this to help your business soar. Please send me examples of how letting go of “maybes” has enriched your life.